The Grammy's are a riskier red carpet by nature than most other awards shows, so I don't really see the point in trying to do a worst dressed list. It's really fun to see all the whackadoo cray cray that people wear anyway so why would I judge something so entertaining? I do however have a few favorites from music's big night starting with Rihanna! This is the best she's looked in a long time. The hair, make-up and dress are all gorgeous and she doesn't look skanky. Well-impressed! 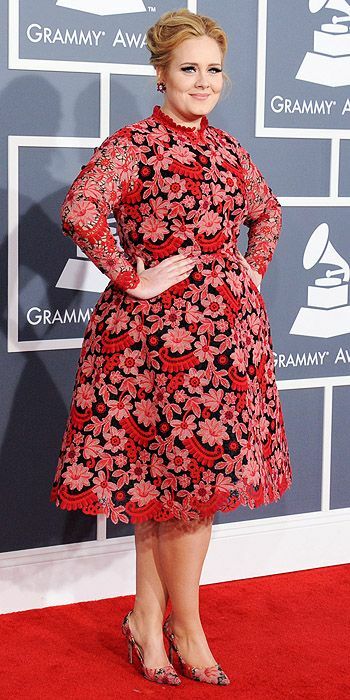 I've been screaming for Adele to wear some color... Maybe she's been reading my Tweets? Well, she wore color last night and then some! The matching floral shoes are the icing on the vintage fashion cupcake - she looked amazing! She's clearly no longer satisfied with being the most talented musician in the world... She's bucking for best dressed too! Good for her! Taylor Swift's Greek Goddess gown obsession might get a little old if she keeps doing it, but right now, I'm loving it... The hair is particularly perfect! I love Florence's lizard look... It just totally suits her and that green couldn't be more beautiful with her red hair! How fun are Fun.? 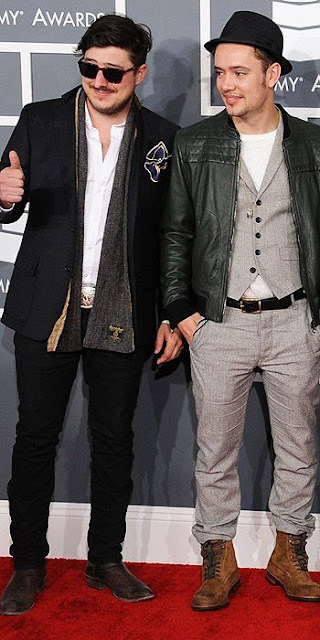 The plaid suit on the left is just beyond! Bey in a monochrome pantsuit on a red carpet with platform peeptoes is everything... Tres chic! 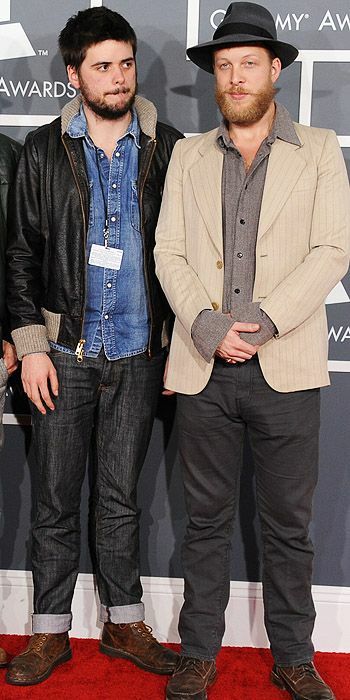 Loving the boys from Mumford & Sons - they have great style! Who's looks did you love from the Grammy's? Were there any looks that you absolutely hated? I'm hoping it's not a fluke, but a turnaround for Rihanna... She was gorgeous & beautifully dressed when she first started out so maybe she can make a fashion comeback! I adored Kaley Cuoco's look, with her leather pants and blazer. I thought she looked very chic. Adele is just too adorable for words, really! She is so genuine and I love it. I love Adele too! I wish she'd take more fashion risks like this one!